Be involved with your kids. Know their friends and who they hang out with. Do not allow them to be without adult supervision unless proven safe. Be on guard for behavioural changes which may indicate drug abuse. 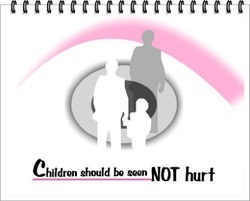 Look for physical signs of abuse. Educate them on the dangers online and in real life.